Recent reports about the 25-foot sailboat Ouzo being run down in the English Channel by the P&O ferry Pride of Bilbao highlight the fact that we pleasureboat operators have to see the big guys because they are probably not going to see us. But what happens in rain squalls and big seas when a ship may be blocked from your view? Can this ship see the sailboat that&apos;s crossing dangerously close to its bow? 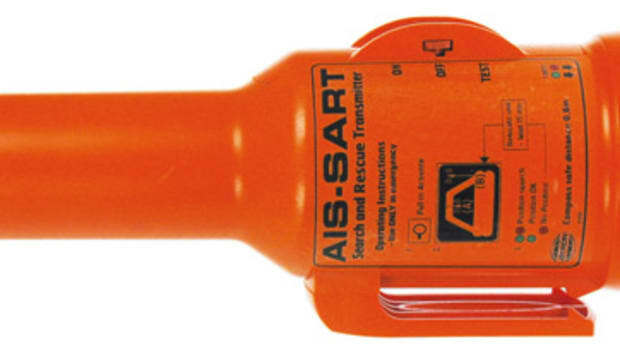 If the sailboat is equipped with an AIS transceiver it can. For 30 years my answer was to keep a good lookout and fit the most powerful radar my vessel could handle. Yet even with such a unit carefully keeping watch, I&apos;ve had close calls transiting shipping lanes in dirty weather. Technical progress and geopolitics have now brought us to the point where there is a better option: Automatic Identification System, or AIS. 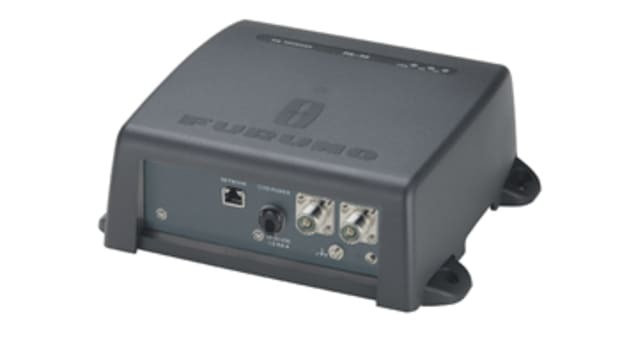 It works like the transponder in an aircraft, sending and receiving vessel speed, heading, position, rate of turn, and identification data over two discreet VHF radio channels. 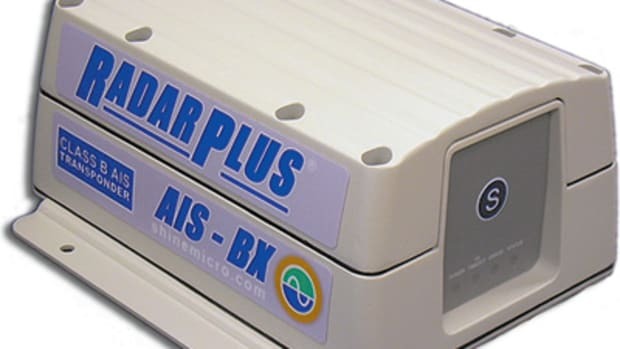 A Class A-type AIS transceiver knows its own vessel&apos;s data, and thus when it picks up the signal from another vessel, it calculates the closest point of approach (CPA) and time remaining to the CPA (TCPA), then sounds an alarm if CPA and TCPA are inside preset limits. 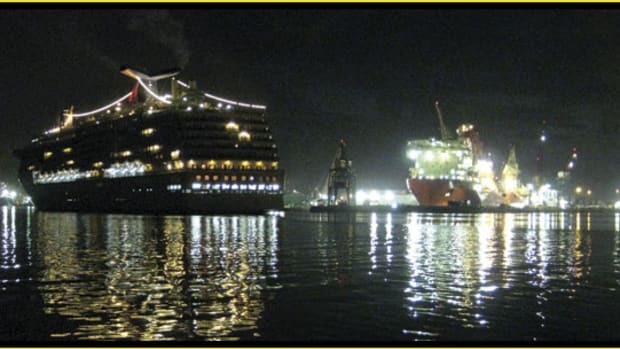 Most large commercial vessels and all yachts of more than 300 gross tons are required by SOLAS to have this gear. 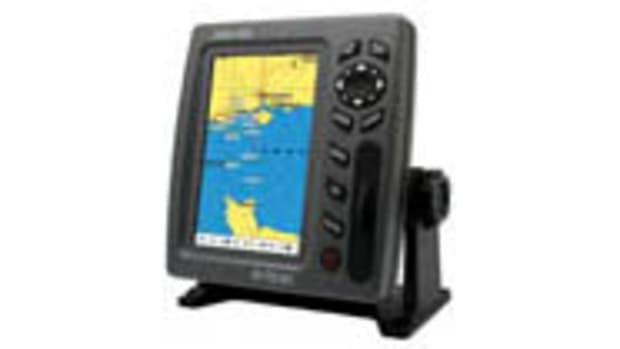 Alternately, you can purchase a receiver that will send AIS data to your PC-based charting program or modern radar/plotter for less than $200. But although the receiver will help you avoid the big guys, it will do nothing to alert them to your presence. 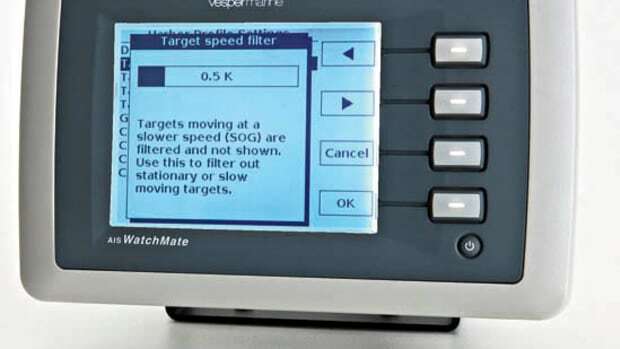 Installing a transceiver, which sends and receives, provides a huge safety advantage: Your vessel appears on their screen and sounds the same alarms as any other vessel. 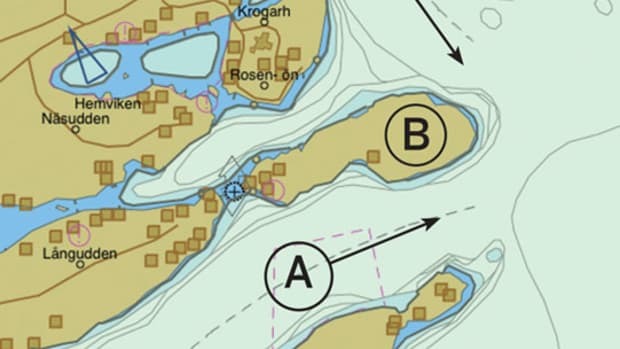 Indeed, you may be a 40-footer, but you&apos;ll look on AIS much the same as would an 800-footer. AIS works around blind corners, too. 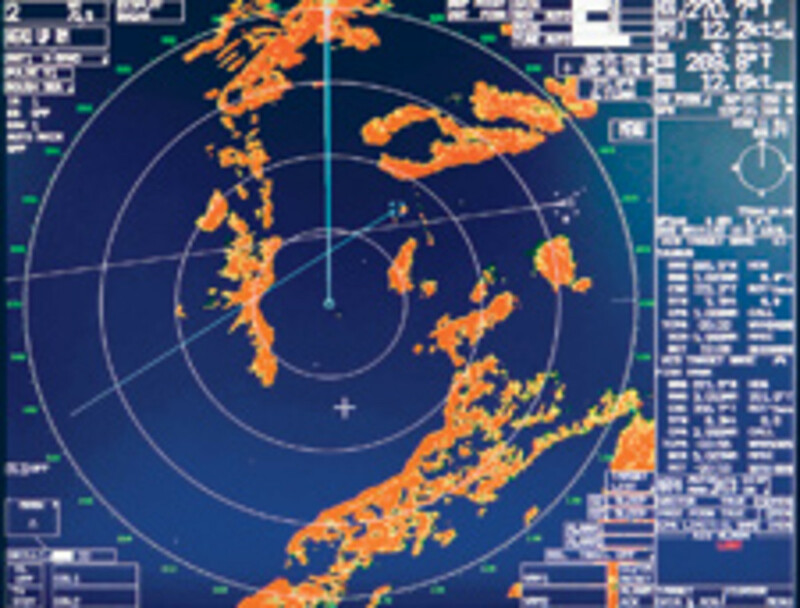 Here our radar screen looks around a 70-degree bend in a channel. The closer of the two vessels headed our way can be see on our radar, but she does not have an AIS transponder broadcasting. The vessel further away does show up as an AIS target, but there is no radar return, as the waves are blocked by intervening mountains. If we are receiving an AIS signal from a vessel, we know she is seeing our AIS transmission as well. 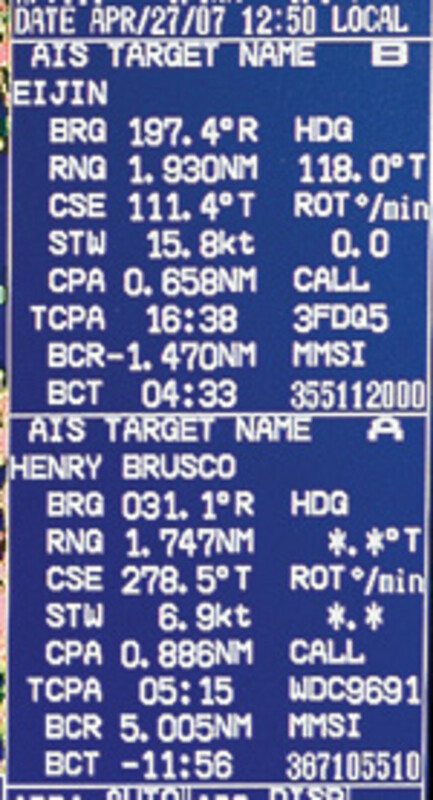 During the winter of 2007, I fitted a Furuno F150 Class A AIS transceiver to Wind Horse, my 83-foot motoryacht. The first inkling of her new status as an AIS user came while I was making a south-to-north offshore crossing of the entrance to San Francisco Bay, and vessel Traffic Service (VTS) hailed me on VHF channel 16 by name and call sign. After moving to a working frequency, VTS proceeded to ask me what type of vessel I was and where I was going. VTS then gave me a heads-up on three inbound ships I&apos;d be passing that were moving south down the coast. The best part of this conversation was realizing that VTS would also be relaying my data to those ships. If I&apos;d not been broadcasting an AIS signal, VTS would not have called me (simply tracking my vessel on their radar would not have told VTS who to call). A couple of days later I was 60 miles off the mouth of the Columbia River on the Oregon-Washington border and was again hailed on VHF by name and call sign, this time by an approaching container ship. Technically he was the burdened or give-way vessel, and I had the right of way. His target data showed a crossing separation of two miles, and he wanted to confirm I&apos;d be holding course and passing port to port. In almost 300,000 miles of cruising, this is the first time a ship has asked me my intention as the stand-on vessel. How AIS data shows up depends on the display device. This photo is of the side of our radar monitor (it could also display with our PC-based charting software). 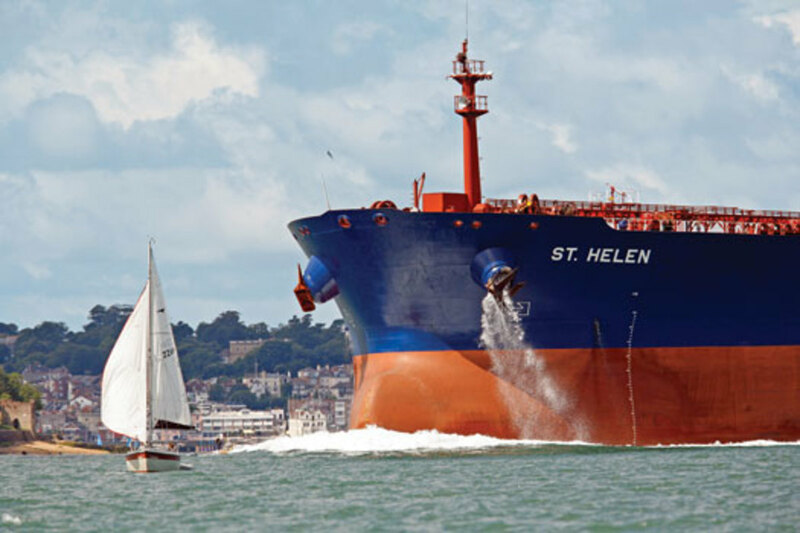 Speed and heading data, along with CPA and TCPA, vessel name, and call sign, are all handy. 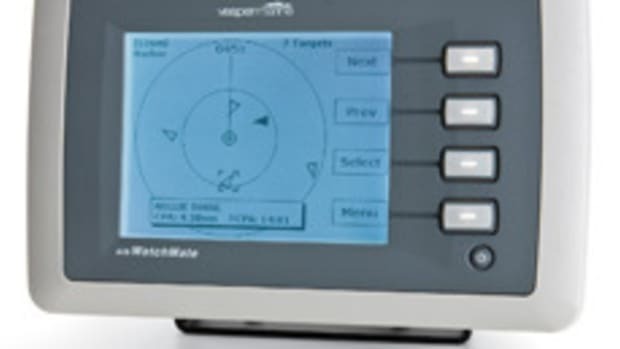 The radar has a user-controllable alarm, which goes off if the closest point of approach is tighter than the alarm minimums. The next evening I turned the corner on Cape Flattery at the entrance to the Straits of Juan de Fuca and headed to Neah Bay for a night at anchor. This time a tug with tow called me as he left Neah Bay, gave me the position of his barge, and advised me that he would be easing out the tow as he came abreast of me and got up to speed. I confirmed that my vessel would pass on his shoreward side, again port to port. He also informed me that two yachts were anchored along the entrance channel in Neah Bay and might represent an obstruction, as they were unlit. The following day I was underway on the south side of Puget Sound, heading towards Port Townsend before making a turn across the traffic lanes for Roche Harbor in the San Juan Islands, when VTF called on the VHF and asked my particulars. The operator advised me that the car carrier Eigin was closing from astern. VTS then hailed Eigin and instructed her to call me and arrange how she would pass. Eigin did indeed call to confirm she was overtaking on our starboard side. All of these examples took place in clear weather. If there had been squalls about that blocked my vessel&apos;s radar reception (and that of the ships&apos; radars), the results would have been the same; AIS VHF radio signals are unaffected by atmospheric conditions or sea state. One final incident illustrating the value of AIS occurred in the Gulf of Alaska between Cape Spencer and Prince William Sound on the Alaskan Panhandle as I was slowly overhauling yet another tug and tow. Moderate to strong rain showers had been with me off and on for three hours, and seas were running 10 to 14 feet. I was passing the tug with a separation of three miles when the captain hailed me. "Wind Horse, ZCOK, this is the Seneca." "Seneca, Wind Horse back. What can we do for you?" "Wind Horse, this is Seneca. We just wanted to check, as you have disappeared from our radar." 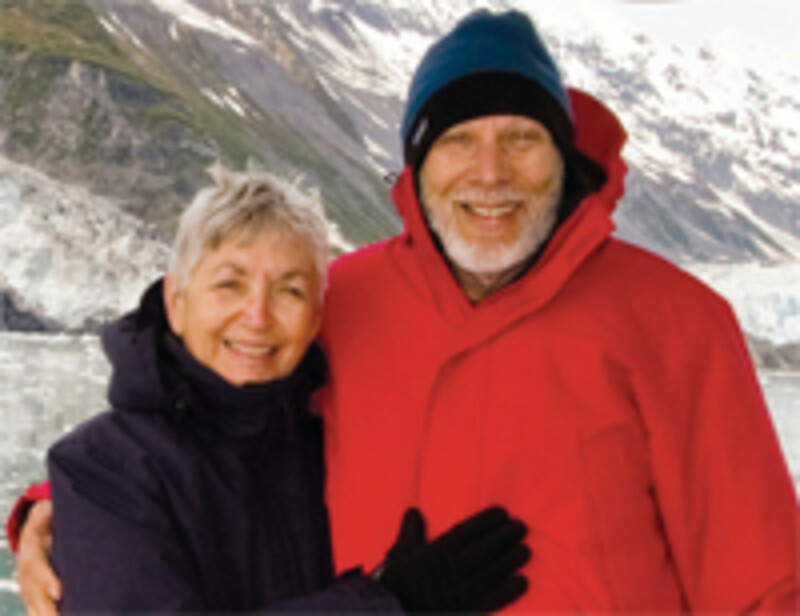 The author at sea with his wife, LInda. I assured him I was fine, thanked him for the call, then thought about what has just happened: I was beam-to the tug with our aluminum topsides as a fine radar target, an ideal situation. The conditions, while somewhat adverse, would hardly be considered bad, and I&apos;ve certainly shared the ocean with ships in much worse radar weather. Lesson: Sometimes the big boys just don&apos;t see you. 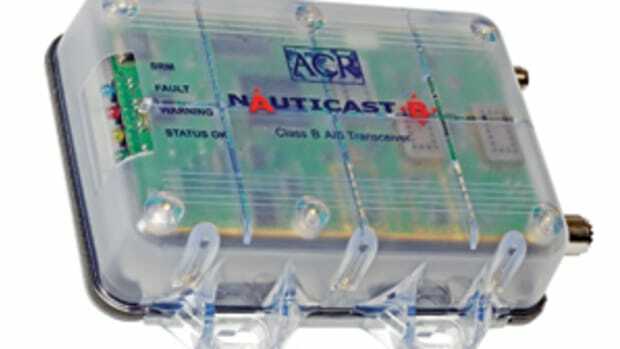 Class B AIS transceivers that broadcast with lower power than the Class A transponders and do not send position updates as often may soon be available to U.S. boaters. But they&apos;re compact, relatively inexpensive, and draw modest amounts of D.C. power. They seem perfectly suited to cruising yachts. While Steve Dashew has logged more than 300,000 miles mostly on sailboats of his own design, these days he&apos;s focused on perfecting a series of high-latitude motor vessels he calls "unsailboats." See Dashew Offshore for more information.